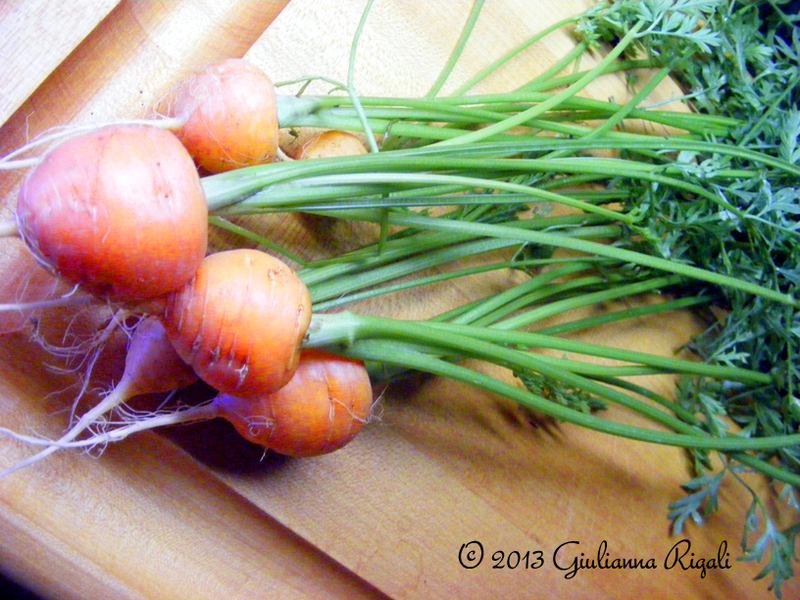 Gardening With Kids - What's Up Doc? Parisian Carrots! "Cats Eyes" loved his carrots! Did you know that during World War II carrots were the making of a myth? That's right! 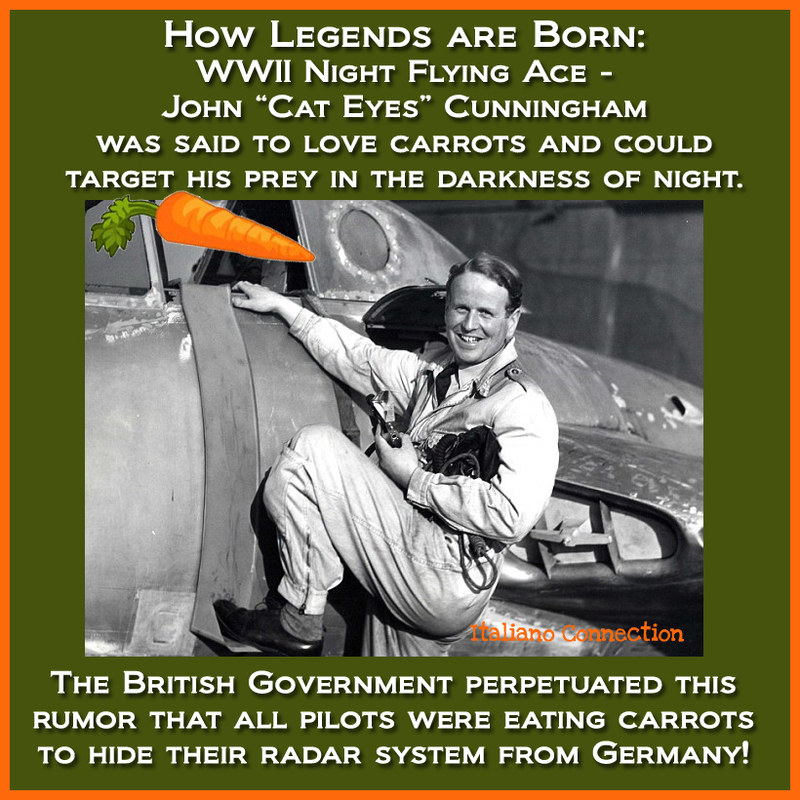 Rumors escalated that British pilots were eating carrots to enable their night vision so they could spot enemy bombers. It was a cover story the government perpetuated to keep the Germans from finding out about their new radar system that actually was spotting the planes. 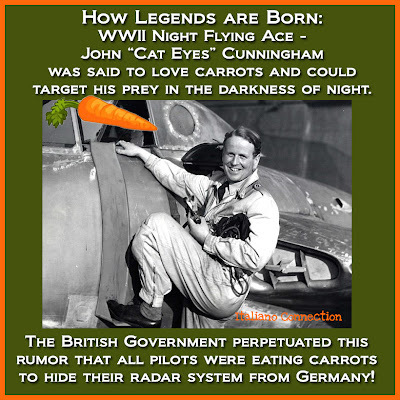 But as most myths/legends are based on some truth, there was a British pilot named, John "Cat's Eyes" Cunningham, who was known to be a night fighting ace. His outstanding eyesight was attributed to his passion for eating carrots. Thus, people began growing carrots in their Victory Gardens! What kid doesn't like carrots? 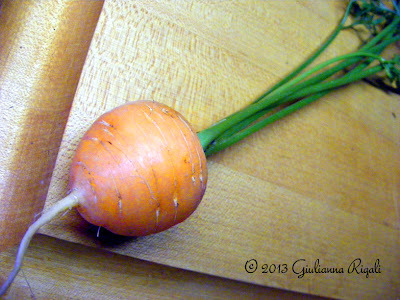 At our house it is arguably the one vegetable that every child will eat in abundance. No surprise, my children wanted to grow their own carrots. This year, we decided to try the globe shaped Parisian Carrots by Victory Seeds, which is excellent for container gardening or heavy soils. They are a little bigger than a radish and bright orange. They grow quickly and are very sweet and tasty. This is now my the favorite carrot of my kids. Of course, knowing "where" our carrots are grown, we have the luxury of them being purely organic. We make our own compost, but we also add some of Dr. Earth's Organic 5 Fertilizer to our soil to make sure it remains healthy. The carrots are packed with nutritional goodness. A serving of carrots has over 400% of our daily need for Vitamin A and a little bit of almost every other nutrient, except for Vitamin D.
Because the carrots are such a hit with the kids, this year we have began succession planting with carrots, something we have not tried before. I have a lot of herbs that I use succession planting to keep us consistently stocked, but this is our first attempt with carrots. Every 30 days, we plant more. As for pests, thus far the only issue we have encountered is fungus gnats that seem to start up when I keep the soil moist for germination and when the roots are still too shallow. I have had less issue with it since we have been using companion planting, such as my border of our carrot patch is covered in chives, but that alone has not stopped it. We made a mixture of sand and diatomaceous earth and sprinkled the top of our soil with it and that seemed to work best. Something else that works well, is the YELLOW fly sticky tapes. The problem is, I can barely find the bright yellow ones anymore, which is the color that attracts the flies/gnats. One can design their own by painting something bright yellow and then covering it in petroleum jelly and then wiping it clean as it gets dirty and reapplying. The downside is, I live in a hot state where petroleum jelly tends to melt. 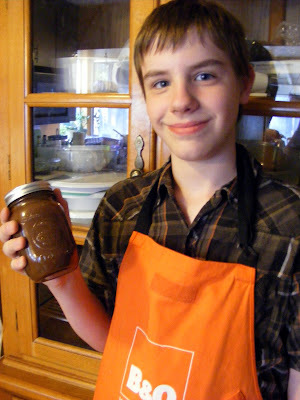 Teaching kids about carrots - This is a resource packed full of education, recipes, and fun about carrots. Personally speaking, we never have enough to use in a recipe. 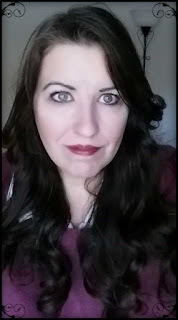 The kids wipe them out within an hour of pulling them up.